Forty-nine-years old businessman Reinario Polinar shares his experience in buying his vehicle of choice through an online car platform Carmudi. 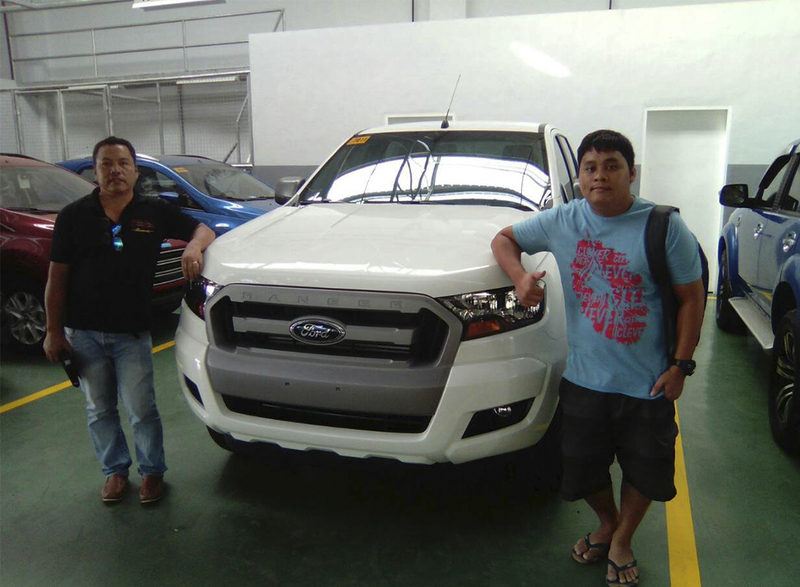 Polinar, who lives in Tagum City, recently purchased a brand-new Ford Ranger 4x2 XLS Manual Transmission at Ford Tagum dealership in Davao, which is under Autohub Group of Companies. According to Polinar, he was browsing in the internet to buy a very famous Japanese SUV when he bumped into Carmudi site. “I found Carmudi through their social media site. I saw the Ford Ranger posted and immediately sent an inquiry because the dealer’s location is in Tagum City,” he said. What made him decide to pursue his transaction through Carmudi is their customer service support. “I’m happy that my inquiry got answered. Within 24-hours, I received a call from their customer service agent,” explained Polinar. Today, the leading car portal aimed to continuously provide users with the best car shopping experience in the country. In addition, the company also prides strong customer relationships, which can only be established through trust. “Carmudi makes the car shopping experience a whole lot easier for its users. Buyers no longer have to worry about randomly picking dealers, as Carmudi has ensured that the dealers are trustworthy,” said Kris Lim, Carmudi Philippines Marketing and PR Head. “The ease, speed, and convenience is what makes Carmudi stand out from buying car the old-fashioned way. With Carmudi, less confusion yields more productivity in the shortest time,” adds Lim. Despite the countless scams and dubious offers over the internet, Carmudi makes it a top priority to make sure that consumers will not fall prey on getting shady dealings. From the transparent and trusted listings, to price negotiation options with sellers, to prompt notifications via e-mail and SMS, Carmudi platform serves as a 24/7 salesperson, ensuring the best communication between buyers and sellers. Carmudi ensures that buyers are given more notable information rather than just the car brand and price. The website offers information wherein they could base their search on lifestyle preference.